While you’re doing your damndest to get your pre-baby body back, don’t leave your child out! She wants to be thin and pretty…just like mommy! She doesn’t even need to be able to sit up before she can do sit-ups. In fact, get her started on a pilates/yoga/kickboxing regimen…STAT! 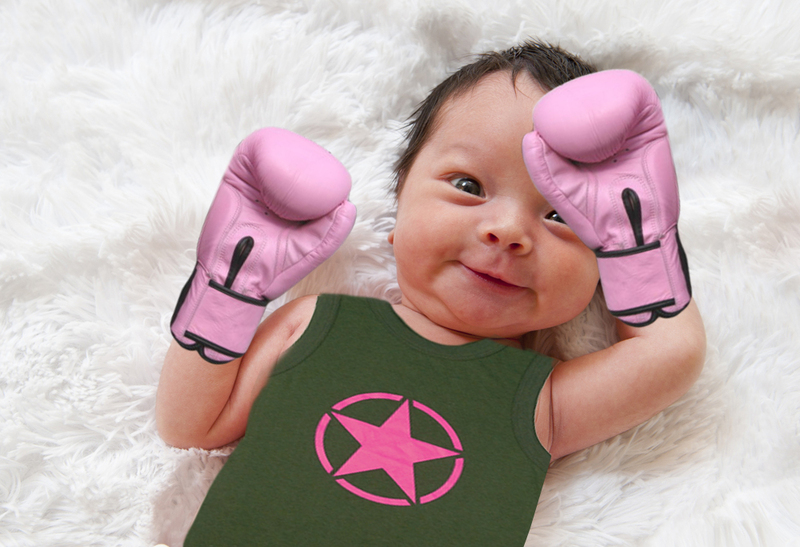 Baby can work out all of her aggression and sweat away the ounces in style! Alternating cardio days with strength days will yield optimal results. Next time we’ll get into the other key element to baby fat loss success: baby’s diet. Babies are supposed to be chubby, a skinny baby is a sick baby. When you are constantly growing, you need to have body fat, or your growth will be stunted. That is for the child’s stylist, trainer, and doctor to decide.